Sarcoidosis sounds like a diagnosis ripped from the script of a medical drama. In fact, this inflammatory condition spurs intrigue on the small screen and in real life. 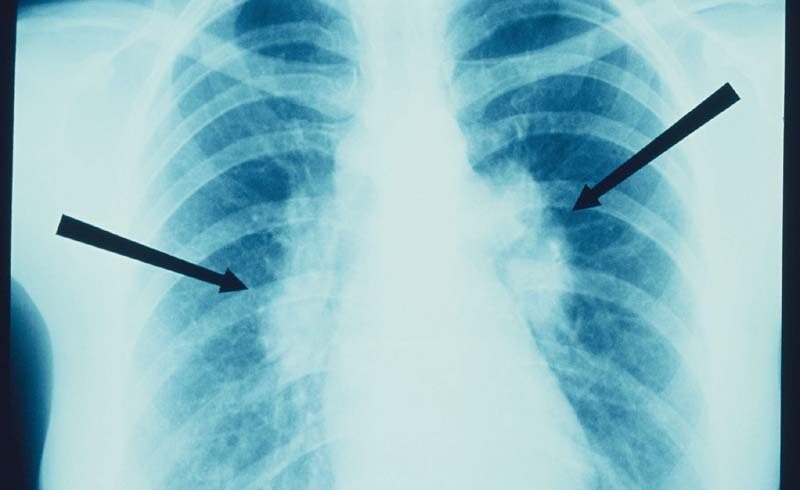 So what is sarcoidosis exactly? Sarcoidosis is a disease that causes immune cells in one or more organs to clump together. These tiny masses, called granulomas, are commonly found in the lungs but can also affect the eyes, skin, heart, liver, and other organs. A granuloma looks like “a little ball” of inflammatory cells, Lisa Maier, MD, professor of medicine and chief of the Division of Environmental and Occupational Health Sciences at National Jewish Health in Denver, tells Health. Some of these tiny clusters can coalesce to create larger masses, “the size of a baseball even,” she says. Sarcoidosis often resolves on its own, but other times it persists. If left untreated, it can cause lung scarring and other organ damage. Experts don’t know exactly what causes sarcoidosis. They think it may be the immune system’s excessive reaction to some perceived threat. Here’s what you need to know about this baffling disease. Over time, all of these symptoms can progressively worsen. “People can get to the point where their lungs aren’t exchanging oxygen well,” says Dr. Maier, a pulmonologist who specializes in treating this disease. One form of skin sarcoidosis, called erythema nodosum, causes tiny, tender bumps on the shins. It usually goes away on its own within months, says Misha Rosenbach, MD, associate professor of dermatology at the Hospital of the University of Pennsylvania in Philadelphia. Other types, including lupus pernio, which appears on the nose and cheeks, usually signal chronic disease. No one knows exactly what causes sarcoidosis. Experts think it may be an overly aggressive immune response to some perceived threat. Under normal circumstances, your immune system wages war on enemy invaders. When it encounters a foreign body that it can’t kill off, like a splinter, or dirt and debris lodged in a wound, it “walls it off by making a granuloma,” Dr. Rosenbach says. People with sarcoidosis make too many granulomas, and they make them where they don’t need them. “We don’t know why their immune system turns on too much and then forgets to turn off,” he says. Possible triggers include exposure to dust, mold, bacteria, or chemicals. Some people may be genetically predisposed to developing sarcoidosis when they encounter a trigger. So far, though, no specific gene mutation has been linked to the disease. 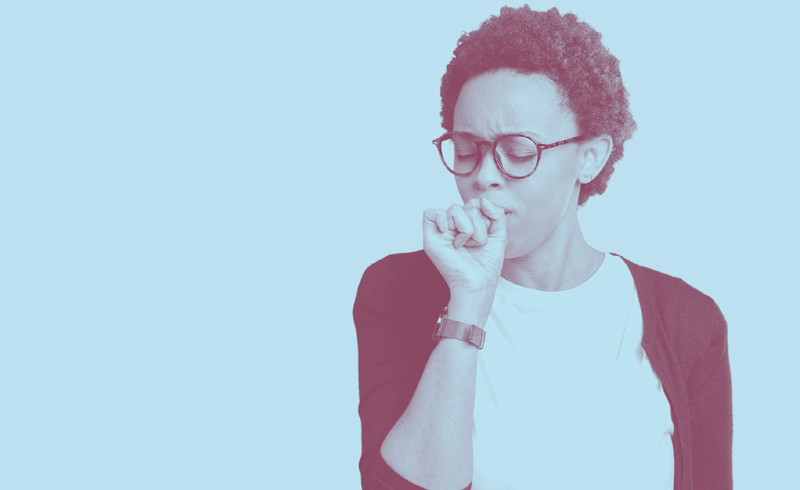 It’s also possible that sarcoidosis, at least in some people, is partly autoimmune, meaning the body mistakenly attacks healthy tissue and organs. But Dr. Maier says that remains a matter of debate. That being said, anyone can get sarcoidosis, including men and older adults—even 60- to 70-year-olds. “I’ve got patients who come in and say, ‘I’m too old for this disease.’ Unfortunately, you’re not,” Dr. Maier says. Likewise, while black women are more frequently and severely affected, a large number of white women in the U.S. also experience sarcoidosis. There’s no single test for sarcoidosis. Your doctor may perform a physical exam and order various tests to rule out other ailments that could be causing your symptoms. Sometimes it takes months to confirm a sarcoidosis diagnosis. Often, a small piece of lung or lymph node tissue is extracted using a bronchoscope, a flexible tube inserted through the mouth or nose into the lung. This procedure is less invasive than a surgical biopsy and can be performed under moderate sedation, Dr. Maier says. If someone has skin symptoms, a skin biopsy almost always confirms or rules out sarcoidosis, Dr. Rosenbach adds. Sometimes patients can skip lymph node or lung biopsy altogether by having a piece of skin tissue removed for examination, “and if it shows sarcoid, you’re done,’” he says. Additional tests may be performed to assess damage to other organs. Sarcoidosis has no cure. But doctors may prescribe medications to treat symptoms and limit the progression of the disease. If you have signs of organ impairment, like abnormal lung or heart function, your doctor will likely talk to you about initiating treatment. If not, you might be monitored closely for a period of time. Not everyone needs treatment because the disease sometimes resolves on its own. “We don’t really at this time have good predictors of who will or will not remit, or who will or will not progress,” Dr. Maier says. A watch-and-wait approach is less common in people with skin symptoms. “Usually that’s a sign that people are going to need treatment to get it to resolve,” Dr. Rosenbach notes. Plus, skin sarcoids on the face can make patients feel stigmatized, he adds. Sarcoidosis isn’t contagious and it’s rarely fatal. More than half of all patients recover without treatment, according to the FSR, while 30% experience chronic disease. If you experience symptoms, get checked out. If you are diagnosed with sarcoidosis, you may need ongoing medical care, and if your sarcoidosis recurs or worsens, follow up with your doctor. Other medicines or surgery may be required to treat or prevent complications. U.S. Daily News: What Is Sarcoidosis?